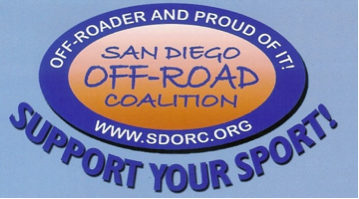 Just a reminder that the October meeting of San Diego Off-Road Coalition will be next Tuesday, October 2. The meeting will be held at Ranch House Restaurant in Santee at 7:00 pm. We will be discussing coming events and current topics of interest to off-roaders. Come early for dinner, bench racing and socializing. For directions go to sdorc.org/meetings. Keep up to date on issues of importance to the OHV community. Sign up for our free e-mail list here!